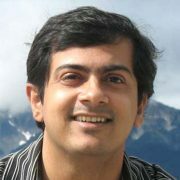 I am a principal researcher at Microsoft Research Redmond. I got my Ph.D. degree in Computer Science, from Carnegie Mellon University in 2005. I got my Bachelor degree from the Computer Science and Engineering Department, Bangladesh University of Engineering and Technology, Bangladesh in 1998. My current research interest is developing practical tools for configuring, testing, debugging, and monitoring cloud applications. Online Maintenance of Very Large Random Samples on Flash Storage, by S. Nath and P.B. Gibbons. Availability of Multi-Object Operations, by H. Yu, P.B. Gibbons and S.K. Nath.